Cheers were heard when this announcement appeared last week on MUSE Commons, the Project MUSE blog. Congratulations to our friend and colleague, Wendy Queen! We are very pleased to announce the appointment of Wendy J. Queen as the new Director of Project MUSE. 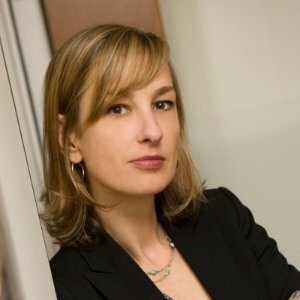 A 15-year veteran of the Johns Hopkins University Press, Wendy served as Deputy Director of MUSE beginning in 2014, prior to which she held progressive responsibilities including Associate Director, Publishing Technologies. Wendy’s many activities in the scholarly publishing community include involvement in the Association of American Publishers (AAP) and the Association of American University Presses (AAUP). She has served on the COUNTER Board for over ten years, and is also a member of the North American Steering Group of the Association of Learned and Professional Society Publishers (ALPSP). Wendy was appointed Interim Director of Project MUSE in March 2015, and in April led MUSE’s largest event of the year, the Annual Publisher Meeting, expanded this year to include a 20th Anniversary celebration. “I am thrilled to have the opportunity to lead MUSE and continue the amazing work being done by the MUSE staff,” said Wendy. Wendy began her career with JHU Press and Project MUSE as a web developer in 2000, working on the platform as it expanded to include content from numerous not-for-profit presses and journals beyond JHUP. Eventually, Queen led a 15-person staff of technology and production professionals, whose accomplishments included the development of a critically important XML workflow for the journals content, and the integration of book content from the University Press Content Consortium (UPCC) into the MUSE platform. Wendy also led all of JHUP’s web development efforts for ten years, including publication of three online reference works.